Orla Anderson-Scott pictured with her work “Hand of fate”. 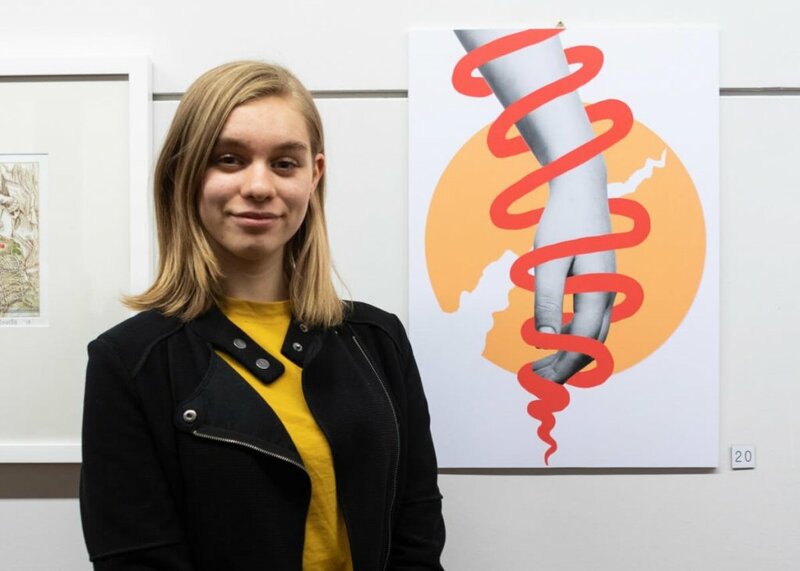 Congratulations to Orla Anderson-Scott who was a finalist in the National Youth Art Award exhibition, with her work titled “Hand of fate” featuring in the four-week exhibition which wrapped up last month. At 16 years old Orla’s work was selected from a pool of 110 artworks entered in the competition for 15 to 27-year olds. Just 47 were selected as finalists. “My competition is steep so even getting into the finals is a massive achievement for me,” Orla said. Orla’s work also sold during the exhibition.